What if you only have below 50 pesos load on your TM prepaid account and you want to register a data promo? 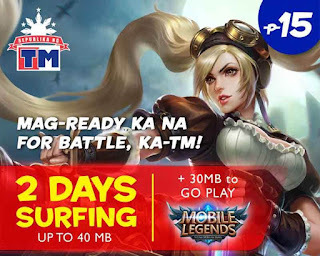 Don’t worry about the situation if your using Touch Mobile SIM, you can register for as low as 15 pesos with their GoSURF promo. With a limited budget, it’s better to subscribe to a surfing promo that fits your budget than consuming your load balance just to browse to the internet at regular rate. Good thing TM offers GoSURF15 that gives you access to the internet using your mobile phone for only 15 pesos with two days’ validity. I can say this is better than per 15 minutes browsing rate as you can save your data and use it anytime within the given period. You can register via SMS, load retailer and by accessing TM *143# USSD code menu. For easy and quick subscription to GoSURF15 just use the format and keyword provided. Dial *143# on your phone menu. Select Surf Promos or option 4. Select option 1 or Subscribe. Wait for the SMS notification from TM’s 8080 before you start using your GOSURF15 promo. In order for you to save your limited data when using this promo, you need to disable unwanted running background apps. For betting browsing speed, it recommended to use TM LTE SIM on a 4G ready location. You can try sending GOSURF STATUS to 8080 or dial *143# then select option for account balance inquiry.